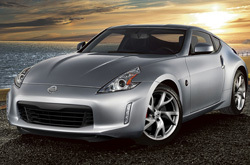 Thanks for choosing Texas Nissan as your resource for 2013 Nissan 370Z reviews. As the chief automotive writers performed countless hours of research on the 370Z to provide you with the top information possible. 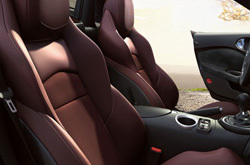 Loaded with important specs and material, each passage gives you complete access to all the Nissan 370Z has to offer. Can you see the 370Z parked in your driveway? You won't know unless you read on! Check out the 2013 Nissan 370Z head-to-head with versus similar autos like the 2013 Ford Mustang, Hyundai Genesis Coupe, Dodge Challenger and the Chevrolet Camaro, and you will spot that the 2013 370Z trumps those vehicles in numerous areas. Scan the reasons see why! No megacorp car repair sites in Dallas - Fort Worth, Texas offer Texas Nissan's amazing combination of certified Nissan 370Z service techs, 12-month warranties on all services and Nissan OEM parts. Texas Nissan's auto repair mechanics will make your 370Z run strong, so bring it to our Nissan car maintenance center in Dallas - Fort Worth today. Whether you're searching for cheap engine repair or less time consuming work like tire rotation and replacement or common oil changes, we'll take care of it! And these things are just a portion of the services we do. Texas Nissan is your surefire destination in Dallas - Fort Worth for quality, professional Nissan repairs and routine maintenance. You can view coupons day or night at the subsequent link.